Finally! A short climb in the Dolomites, right? 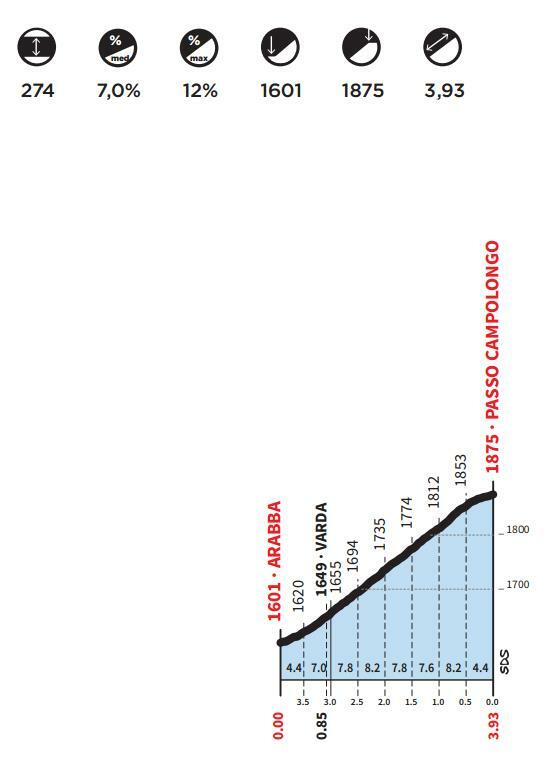 Well, don’t declare victory so soon because this portion of Passo Campolongo should be climbed when you already have some km in your legs, and – trust me – you’ll be feeling the 7% average gradient! Another characteristic of Passo Campolongo is the wind. It’s rare to ride it without wind. Passo Campolongo runs west to east on the first portion, east to west on the second, and the final stretch is south to north. This way, if you don’t feel it on the first part or the second, you will in the last part (or vice versa). 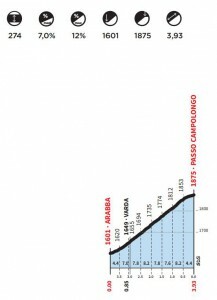 Passo Campolongo starts from Arabba in the valley of Livinallongo. After the first long stretch with gradients between 7%-8% you get to the hamlet of Varda where you encounter the first hairpins of the climb. Once the direction changes, look in front of you, and on the other side of the valley you can see the whole of Passo Pordoi’s 9 km on the Arabba side. This is another straight with a bit more gradient than before and it’s usually really hard to do when you have headwind blowing towards you from the Passo Pordoi. After a long right turn the road goes north and you’ll see the last 2 hairpins surrounded by vulcanic limestone that look like huge dinosaur eggs from far away. As soon you leave the last hairpins behind, you arrive at the top of Passo Campolongo where you will find the roadsign at the end of the last stretch.